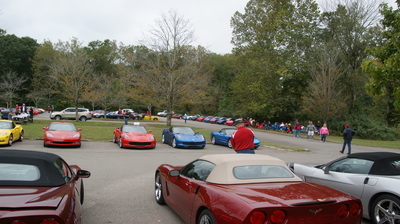 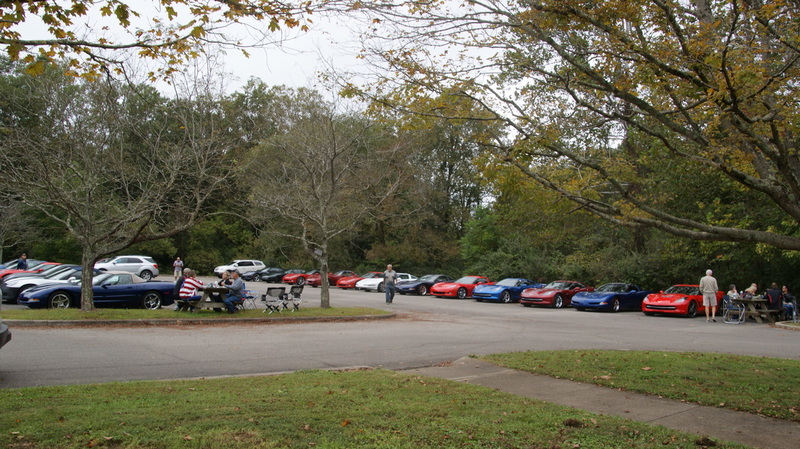 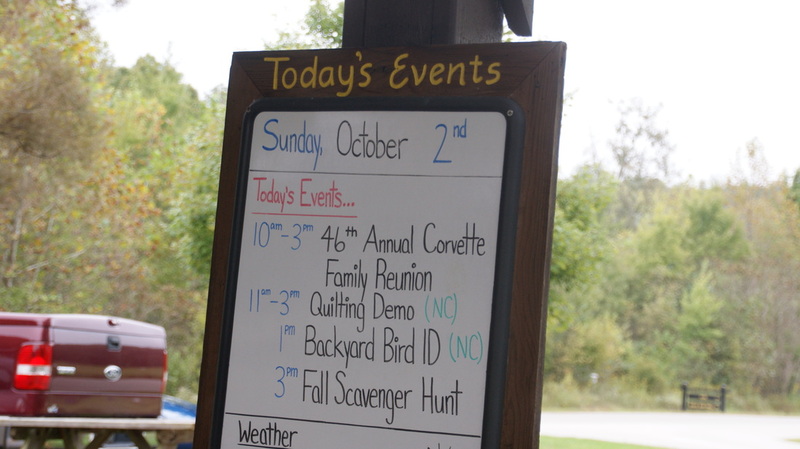 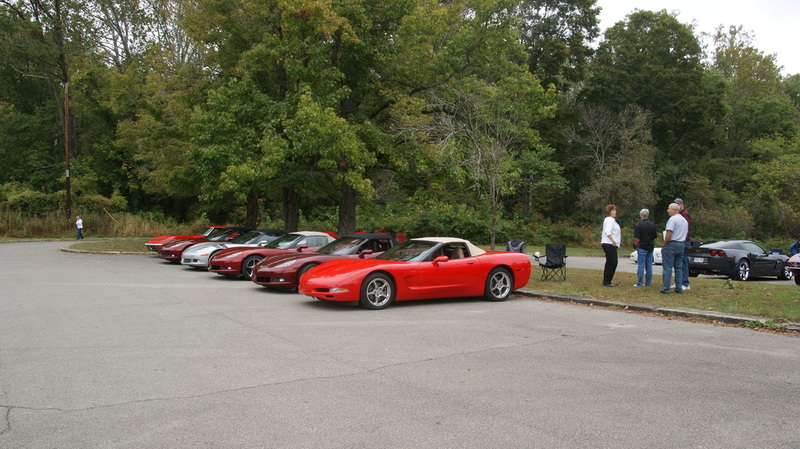 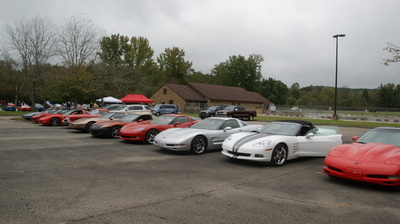 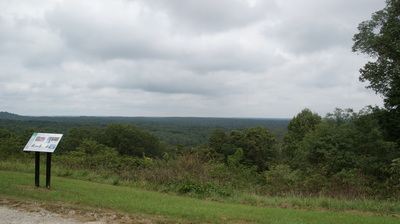 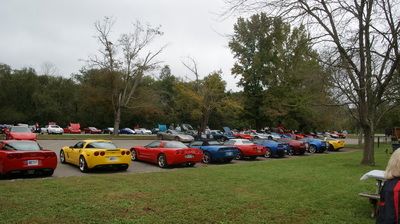 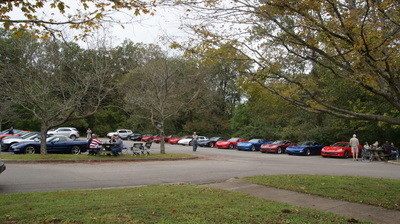 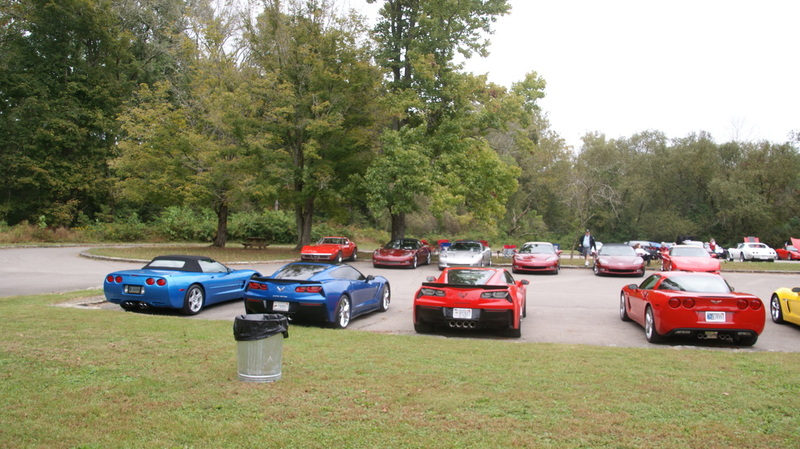 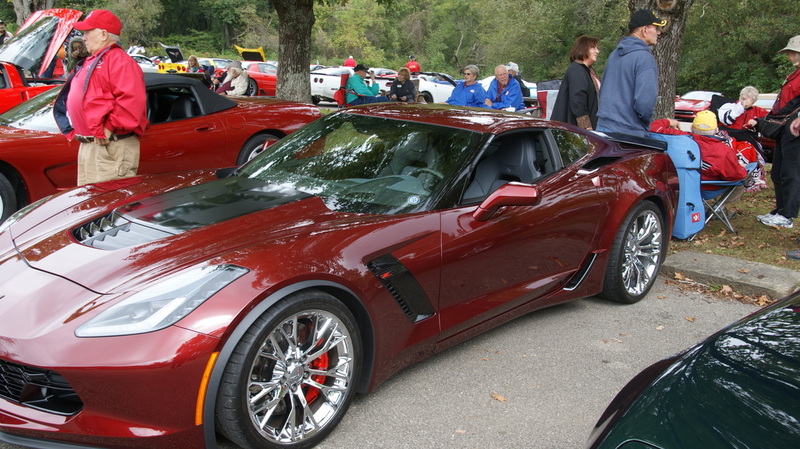 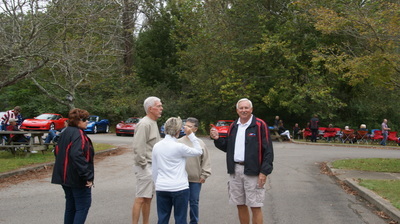 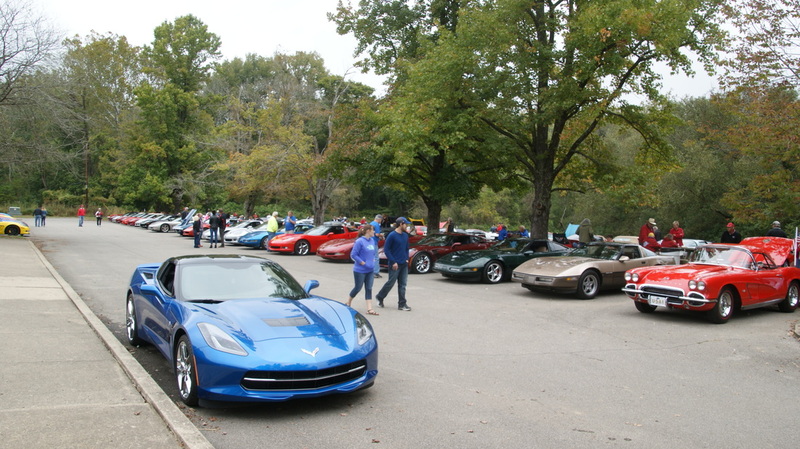 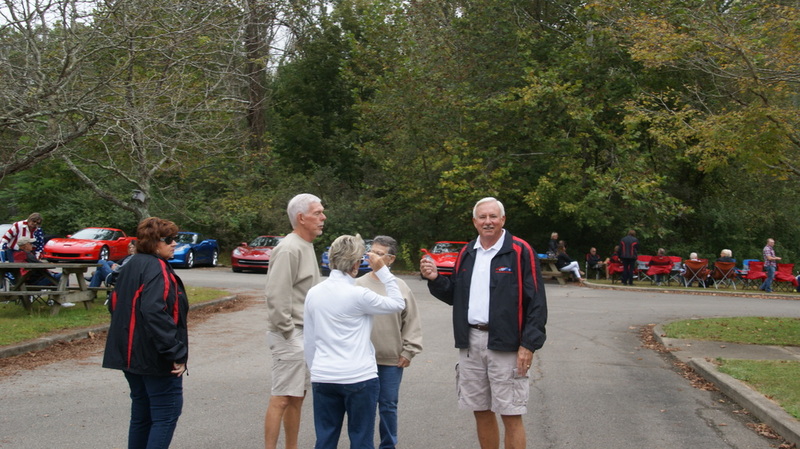 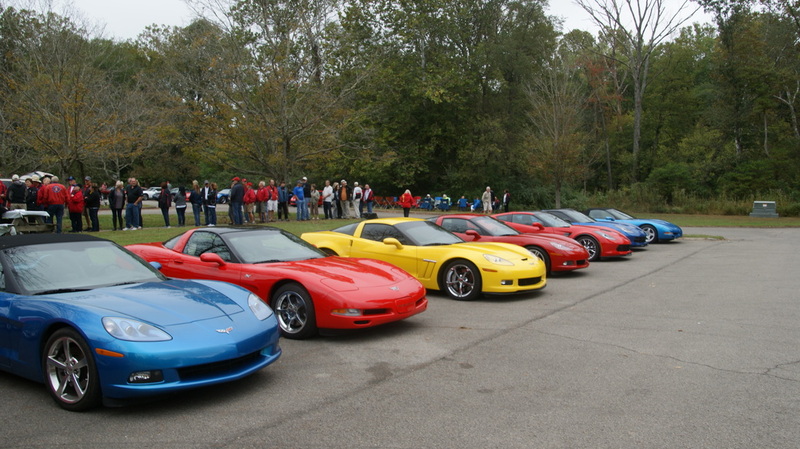 With weather not being a factor as it was a nice fall day in the 60's and cloudy for the 46th Annual Event a good number of Corvettes made their way to the huge state park near Nashville. 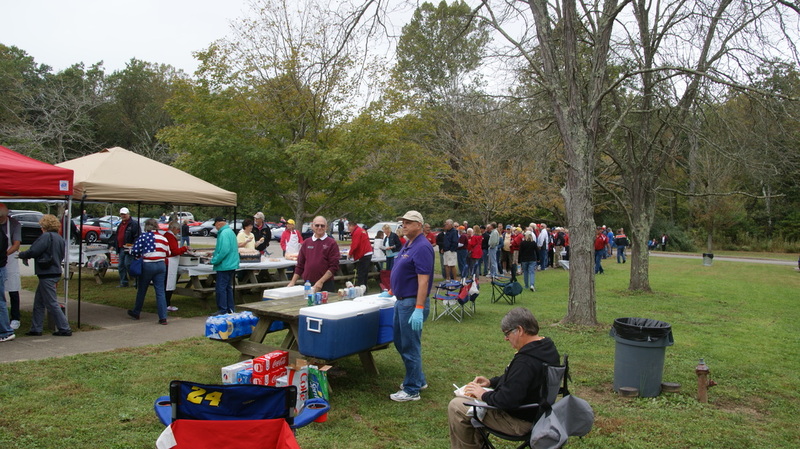 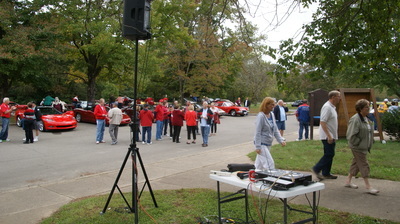 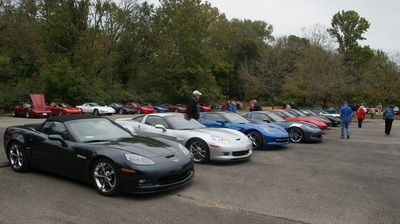 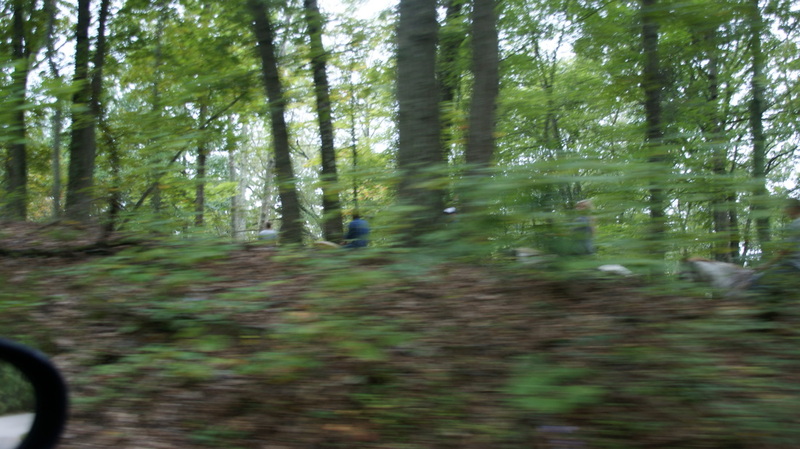 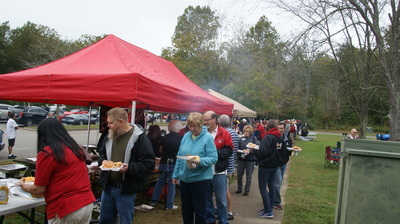 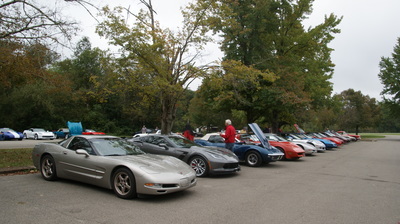 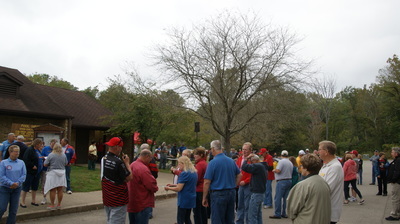 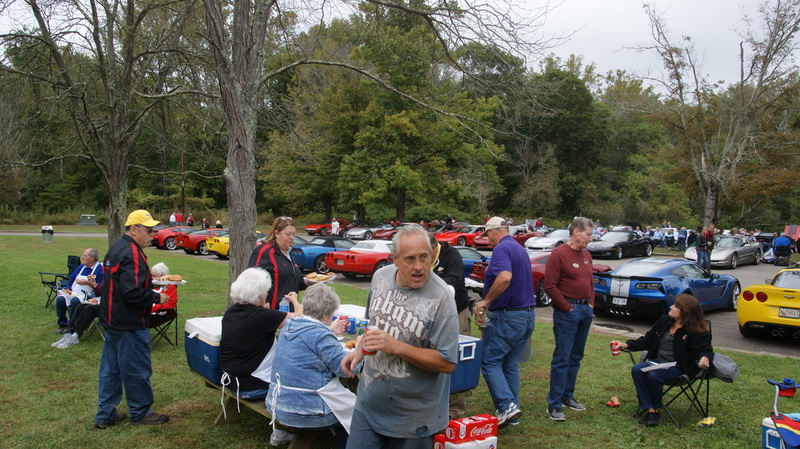 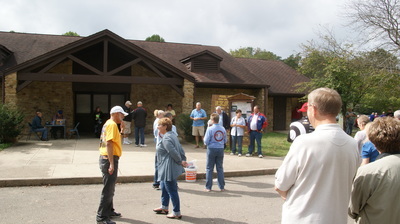 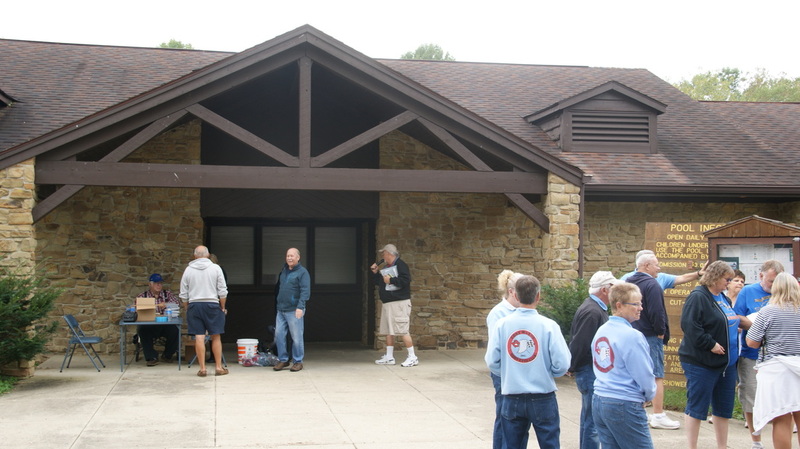 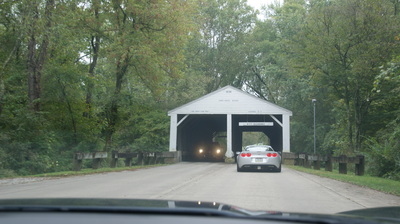 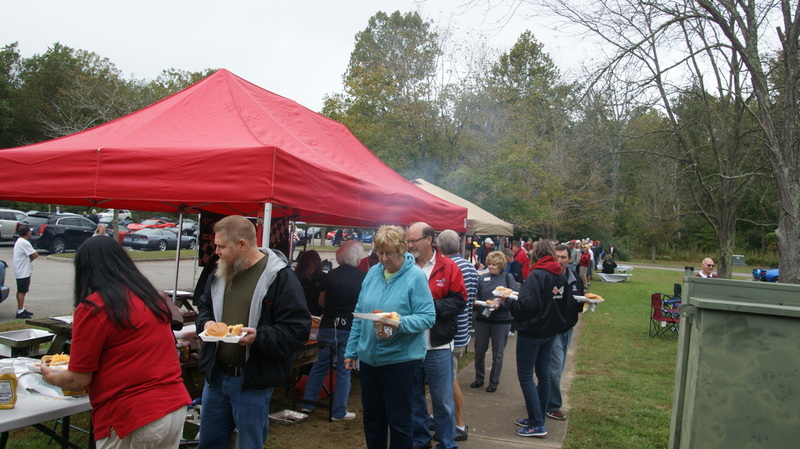 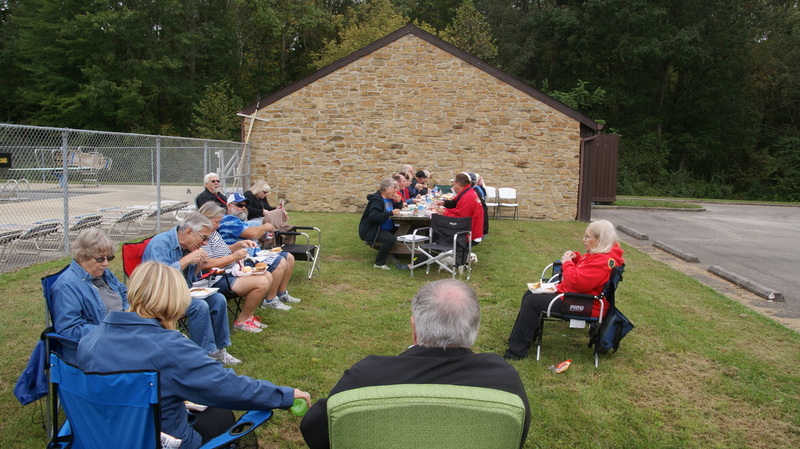 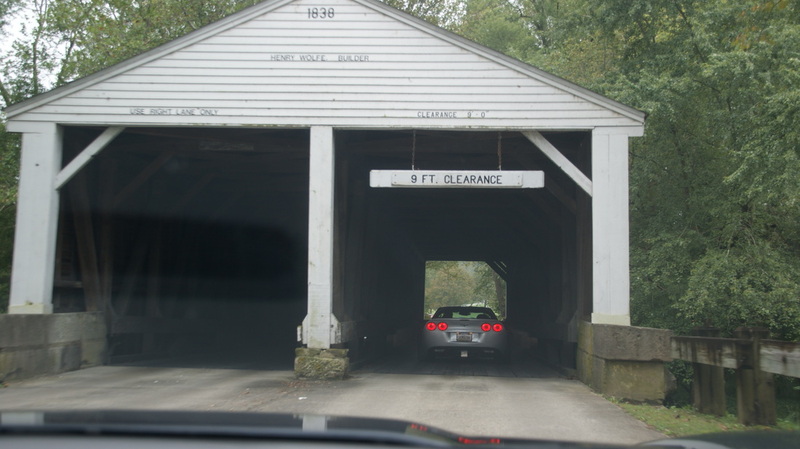 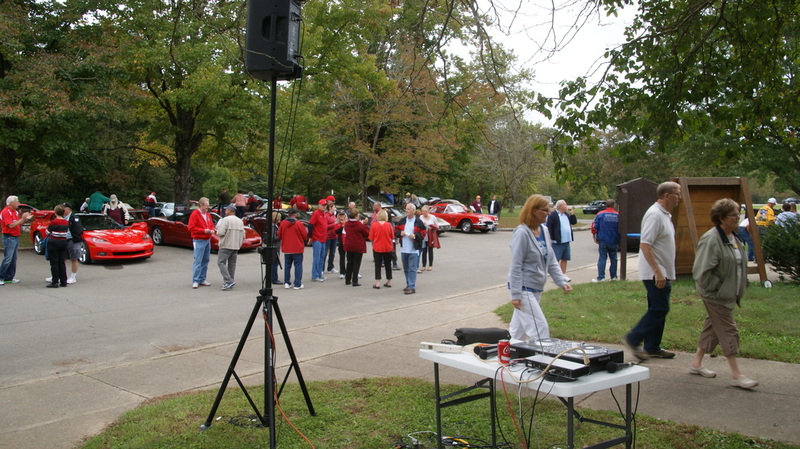 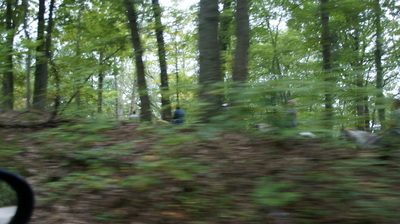 This year the day brought out a little over 135 Corvettes and metal cars and well over 270 NCCC and other Corvette owners taking advantage of the meal served by the two clubs, The Original Circle City and Indianapolis Corvette Club, that organize and have put the event on for so many years. 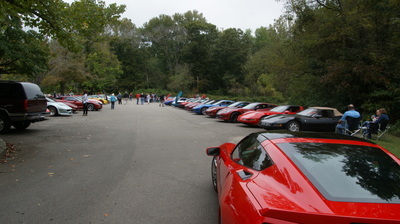 There was also a poker rally to the park from Edinburgh with 30 Corvettes participating for a fun drive in. 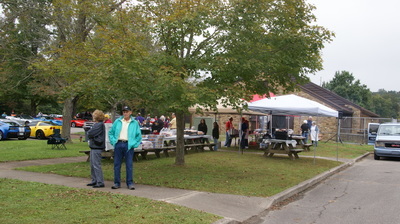 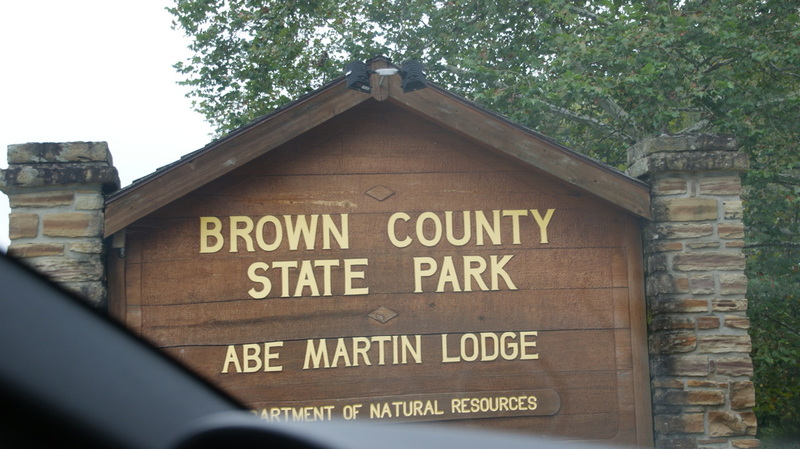 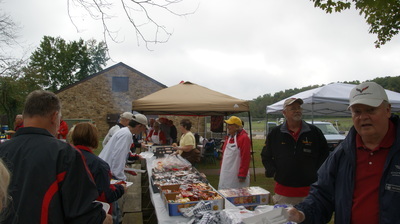 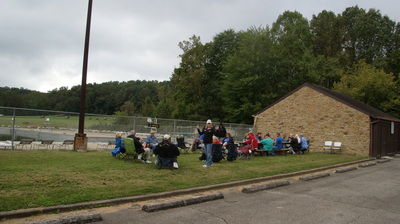 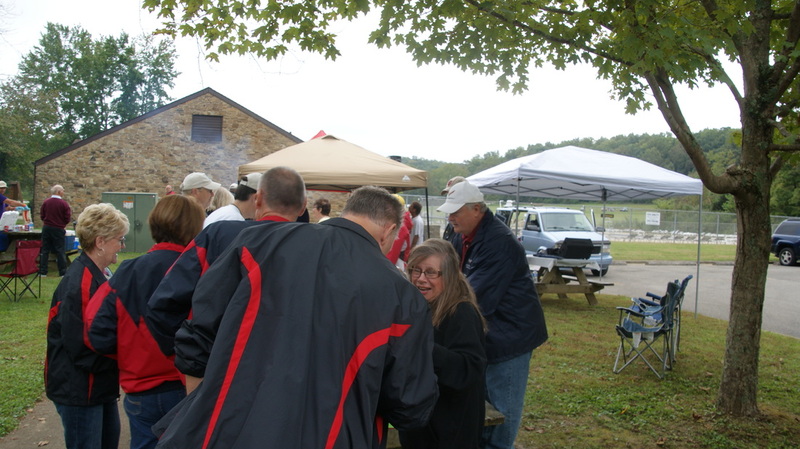 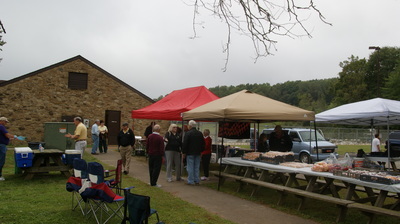 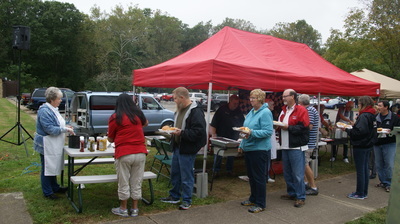 Once everyone had arrived the food was plentiful with BBQ and Hot Dogs the main items along with baked beans, chips, cookies, and drinks available to make for a filing meal. 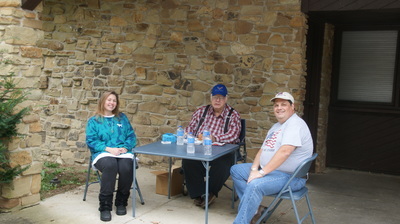 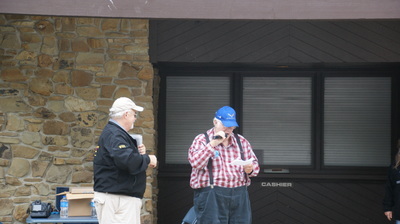 This year also had a number of door prizes donated by the attending NCCC clubs along with a 50/50 drawing. 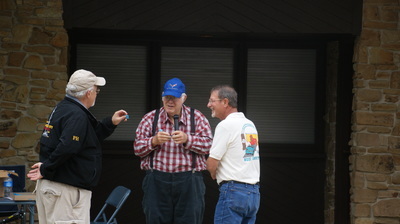 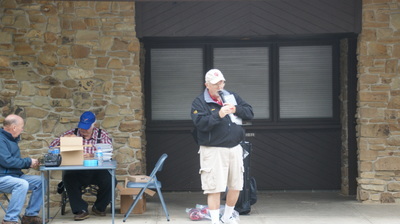 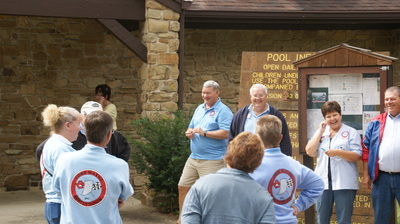 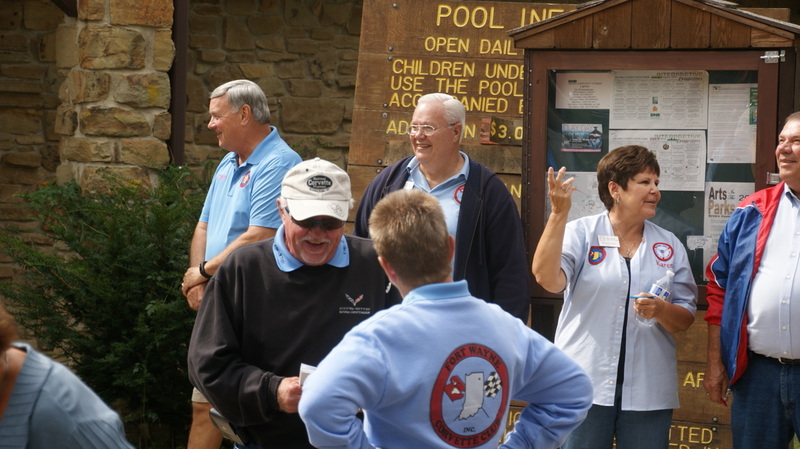 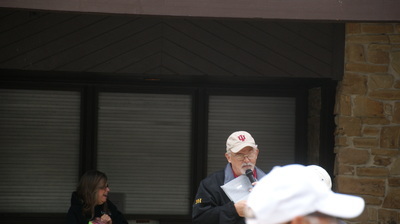 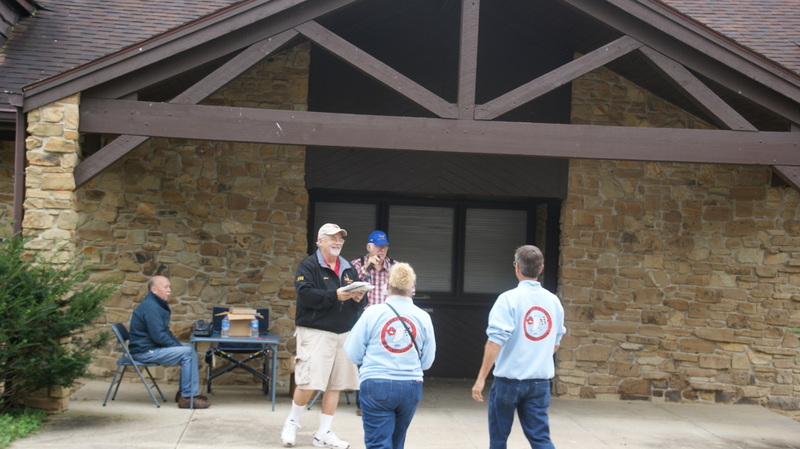 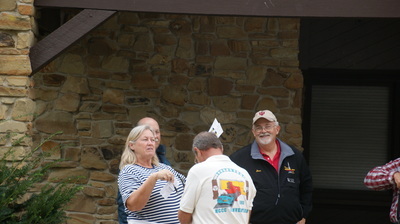 The club participation plaque was a tie with both Hoosier and Anderson bringing 36 members to this years event. 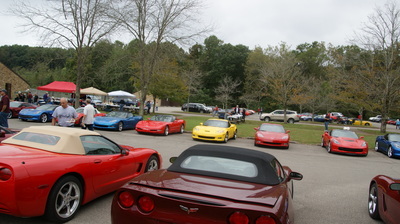 Also being sold were the NCCC raffle Corvette tickets that will be drawn November 2. 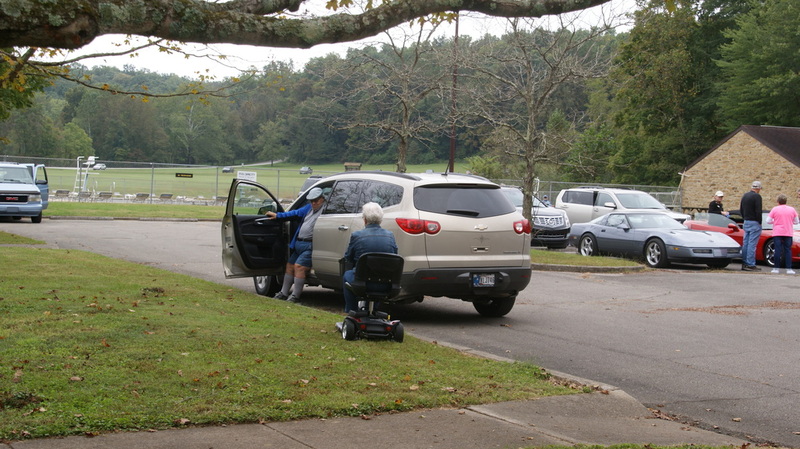 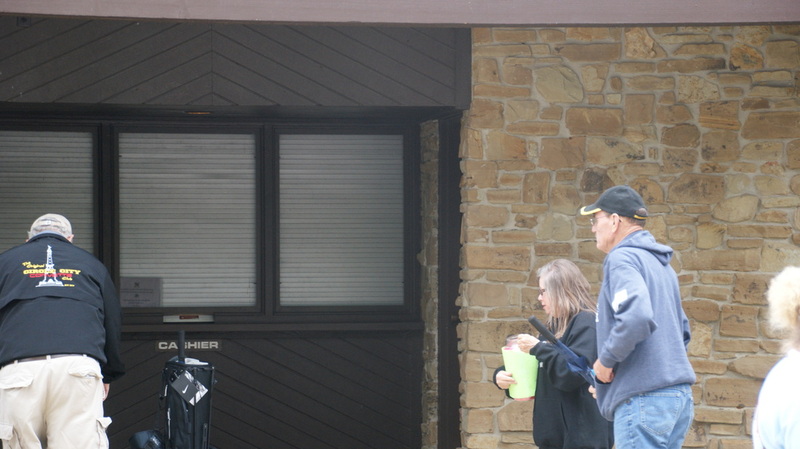 Music was again provided by Richard from the Delco Kokomo Club, with great oldies filling the air through out the afternoon. 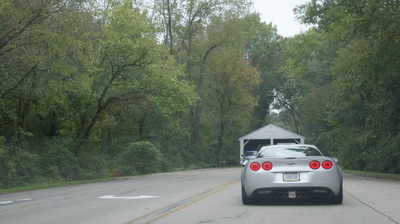 Another fun afternoon for Corvette owners to get together and see what other owners and clubs are up to in the Indiana Region.